No one wants to hear the words, “You’re fired!” especially this season’s cast of Celebrity Apprentice. Over the past couple of weeks, the show has shown some interesting interactions between cast members, and proves that effective collaboration and communication is the key to surviving in an enterprise, especially one run by Donald Trump. It’s been fascinating to watch the women’s team work on Trump’s challenges and losing most of their challenges to the men’s team. The women’s team may seem more “communicative” than the men’s team, however, the reason they have been losing challenges is because of their weak method of collaboration and communication. Collaboration and communication…what’s the difference? Let’s make one thing clear – collaboration and communication are not the same thing. Communication simply refers to the flow of information; collaboration occurs when two or more people work together towards a common goal. One thing that the women’s team does not understand is that communication can be a one-way transmission. Once you put your message out there, you may, or may not, receive a response. Collaboration is always a joint, interactive activity. The men’s team has been winning challenges because they know how to collaborate with one another. Even if they aren’t happy with certain team members, they always find ways to work around it by discussing, elaborating and engaging with each other. The few instances of collaboration that were present within the women’s team have been unproductive; there were no clear, structured dialogues, no encouragement from each other, and therefore, no actionable solutions. If your business is losing “challenges” such as customers, you might want to evaluate the strategies you are using to collaborate with your employees, as well as with your business partners and of course, your customers. Collaboration and communication is important for businesses; it leads to more effective problem-solving methods and a better customer experience. Companies are increasingly turning to collaboration tools in order to ensure this. OneDesk bridges the collaboration and communication gap between employees, partners and customers. Its two-way feedback system and social collaboration tools ensure that the conversation is always structured and that all team members are always on the same page. Try OneDesk for free today and build a winning team. 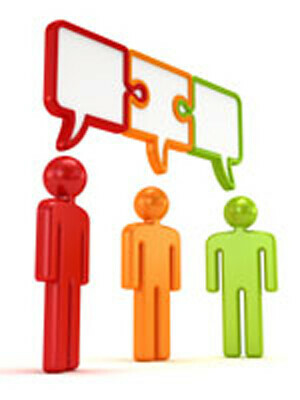 We want to know: What tools does your organization leverage to ensure effective collaboration?